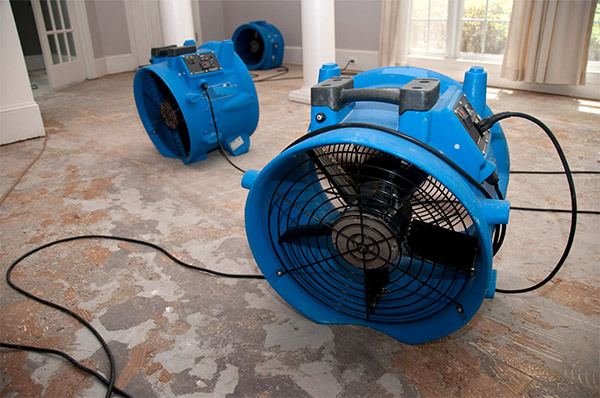 Flood Restoration Services is a Cincinnati-based, locally owned and operated water restoration company. We are approved by all major insurance providers and are fully bonded and insured. Flood Restoration Services has the staff, equipment and expertise to handle disasters of all magnitudes, from small flooding problems to water restoration jobs that are as large as 1,000,000 square feet. Our employees have received in-house training by trainers certified by the IICRC in water damage restoration. We don’t use outside placement agencies to fill crew positions. There is an IICRC certified staff member on all jobs serviced by our firm. We follow strict adherence to all applicable safety regulations, including OSHA and WHMIS. We have experience working in residential areas and in all types of commercial environments, including manufacturing areas, warehouses, healthcare facilities, hotels and office areas. We make every effort to keep your business up and running while we work if possible. We employ the most efficient and scientific methods of drying available. Truck-mounted extraction systems provide the power needed to handle all sewer back-ups, large or small. Large service vehicles enable us to remove all debris from a job site. John E. Winther, owner of Flood Restoration Services, and John N. Winther, operations manager, oversee all work performed on location. John E. Winther has more than 30 years of experience providing emergency services to homeowners and business owners. He has served as a consultant to numerous local and national service companies for his skills in workforce training and quality control. He is certified in water damage restoration by the Institute of Inspection Cleaning and Restoration Certification (IICRC). John N. Winther provides all estimates and is responsible for the supervision and guidance of all crew members. He is certified in water damage restoration by the IICRC and has a certification in mold remediation by the Indoor Air Quality Association. Emergency? Call 513-871-3333 Now for 24-Hour Emergency Service. © 2019 Flood Restoration Services. Powered by Spot On Solutions.